I started in the advertising business as an illustrator in 1963 after studying at the Art Center in Los Angeles. In early 2001, at age 62, I was diagnosed with prostate cancer and had a successful prostatectomy soon after. I had always hoped I could someday retire and just paint and with the possibility of a relapse of the cancer, it seemed like I had just been handed a very good opportunity to do so, and my wife Nancy agreed. It has been 17 years, and my representation in several galleries has been successful. 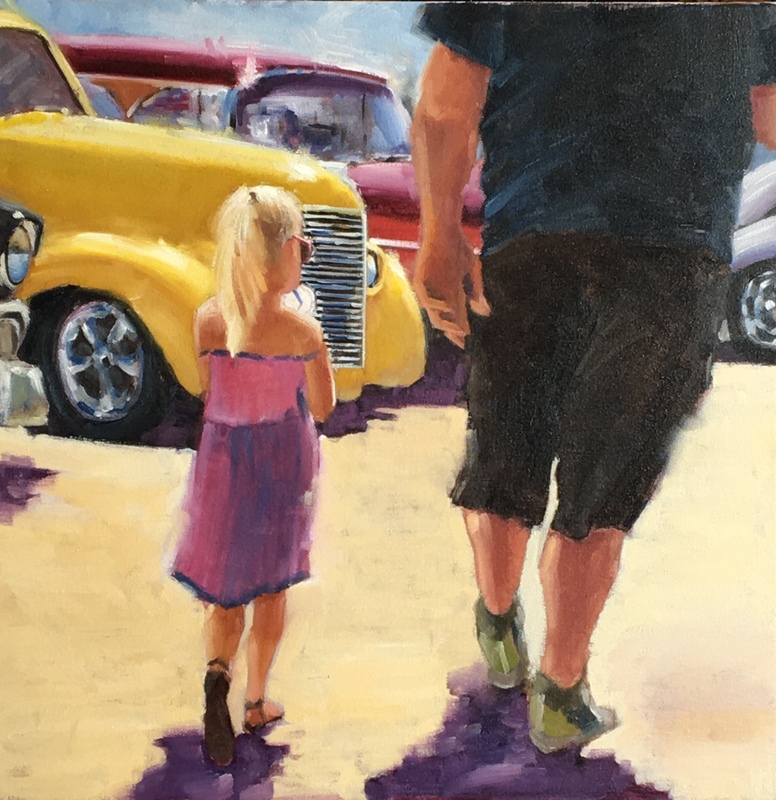 This painting is one of a series of people at car shows.